Kind of really feeling glittery gold at the moment. These two items are golden. Literally. 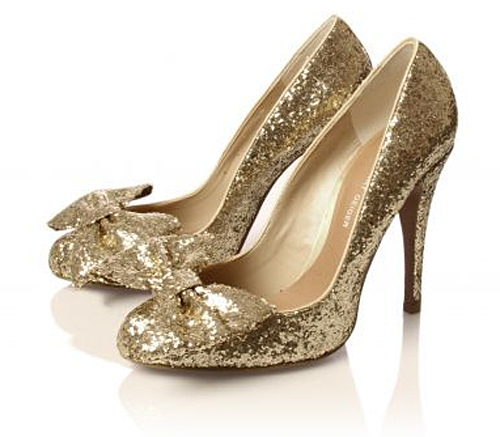 Pretty confident every shoe-inclined girl needs a pair of Dorothy-worthy sparklin' heels! i want those pumps. seriously. I bought that nail polish the other day!!! It looks amazing on, but it's so tough to take off!